Match ends, Dynamo Kyiv 3, Rennes 1. Second Half ends, Dynamo Kyiv 3, Rennes 1. Vitaliy Mykolenko (Dynamo Kyiv) wins a free kick on the left wing. Benjamin Bourigeaud (Rennes) wins a free kick in the defensive half. Substitution, Dynamo Kyiv. Mikkel Duelund replaces Mykola Shaparenko. Attempt blocked. M'Baye Niang (Rennes) right footed shot from the right side of the box is blocked. Assisted by James Lea Siliki. Vladyslav Supriaha (Dynamo Kyiv) wins a free kick on the right wing. Substitution, Dynamo Kyiv. Vladyslav Supriaha replaces Benjamin Verbic. Goal! Dynamo Kyiv 3, Rennes 1. Jordan Siebatcheu (Rennes) left footed shot from very close range to the bottom left corner. Assisted by M'Baye Niang. Vitaliy Buyalskiy (Dynamo Kyiv) wins a free kick on the left wing. Corner, Dynamo Kyiv. Conceded by Ramy Bensebaini. Sidcley (Dynamo Kyiv) wins a free kick in the defensive half. Substitution, Dynamo Kyiv. Serhiy Sydorchuk replaces Tchê Tchê. Attempt saved. M'Baye Niang (Rennes) right footed shot from the centre of the box is saved in the bottom left corner. Assisted by Hatem Ben Arfa. Foul by Jordan Siebatcheu (Rennes). 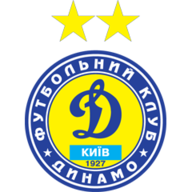 Delay in match (Dynamo Kyiv). Attempt saved. M'Baye Niang (Rennes) right footed shot from the right side of the box is saved in the centre of the goal. Assisted by Denis Poha. Corner, Rennes. Conceded by Tamás Kádár. Attempt blocked. M'Baye Niang (Rennes) header from the centre of the box is blocked. Assisted by Hatem Ben Arfa with a cross. Substitution, Rennes. Jeremy Gelin replaces Gerzino Nyamsi. Foul by Benjamin Verbic (Dynamo Kyiv). Goal! Dynamo Kyiv 3, Rennes 0. Mykola Shaparenko (Dynamo Kyiv) right footed shot from the left side of the box to the bottom right corner. Assisted by Vitaliy Mykolenko. Substitution, Rennes. Jordan Siebatcheu replaces Ismaila Sarr. Attempt missed. Mykola Shaparenko (Dynamo Kyiv) left footed shot from the left side of the box is close, but misses to the left. Assisted by Tchê Tchê following a fast break. Goal! Dynamo Kyiv 2, Rennes 0. Vitaliy Mykolenko (Dynamo Kyiv) header from the centre of the box to the bottom right corner. Assisted by Viktor Tsygankov with a cross following a set piece situation. Mykola Shaparenko (Dynamo Kyiv) wins a free kick on the right wing. Attempt saved. Denis Poha (Rennes) right footed shot from outside the box is saved in the top centre of the goal. Hatem Ben Arfa (Rennes) wins a free kick on the right wing. Benjamin Verbic (Dynamo Kyiv) wins a free kick on the right wing. Attempt missed. Sidcley (Dynamo Kyiv) left footed shot from the left side of the six yard box misses to the right. Assisted by Tomasz Kedziora. Corner, Rennes. Conceded by Viktor Tsygankov. Corner, Rennes. Conceded by Tomasz Kedziora. Attempt missed. M'Baye Niang (Rennes) right footed shot from the centre of the box misses to the left. Assisted by Ismaila Sarr. Offside, Dynamo Kyiv. Denys Boyko tries a through ball, but Sidcley is caught offside. Attempt missed. Viktor Tsygankov (Dynamo Kyiv) left footed shot from outside the box is close, but misses to the right. James Lea Siliki (Rennes) is shown the yellow card for a bad foul. Mykola Shaparenko (Dynamo Kyiv) wins a free kick in the defensive half. Attempt saved. Ismaila Sarr (Rennes) right footed shot from very close range is saved in the centre of the goal. Assisted by Ramy Bensebaini with a cross. Attempt missed. Sidcley (Dynamo Kyiv) left footed shot from outside the box misses to the right. Offside, Rennes. Mehdi Zeffane tries a through ball, but M'Baye Niang is caught offside. Attempt saved. Vitaliy Buyalskiy (Dynamo Kyiv) right footed shot from outside the box is saved in the centre of the goal. Attempt missed. Vitaliy Buyalskiy (Dynamo Kyiv) left footed shot from outside the box misses to the left. Assisted by Viktor Tsygankov. Gerzino Nyamsi (Rennes) wins a free kick in the defensive half. Second Half begins Dynamo Kyiv 1, Rennes 0. Substitution, Rennes. M'Baye Niang replaces Hamari Traoré. 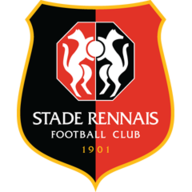 First Half ends, Dynamo Kyiv 1, Rennes 0. Denis Poha (Rennes) wins a free kick in the attacking half. Attempt saved. Benjamin Verbic (Dynamo Kyiv) header from the left side of the six yard box is saved in the centre of the goal. Assisted by Vitaliy Mykolenko. Damien Da Silva (Rennes) wins a free kick on the left wing. Attempt missed. Vitaliy Mykolenko (Dynamo Kyiv) left footed shot from the left side of the box is too high. Assisted by Viktor Tsygankov. Foul by Tchê Tchê (Dynamo Kyiv). Foul by Denis Poha (Rennes). Attempt missed. Vitaliy Mykolenko (Dynamo Kyiv) right footed shot from outside the box is high and wide to the right. Assisted by Mykola Shaparenko. Attempt saved. Viktor Tsygankov (Dynamo Kyiv) left footed shot from the centre of the box is saved in the centre of the goal. Assisted by Vitaliy Buyalskiy. Gerzino Nyamsi (Rennes) is shown the yellow card for a bad foul. Attempt missed. Ramy Bensebaini (Rennes) left footed shot from outside the box misses to the left. Attempt blocked. Damien Da Silva (Rennes) header from the right side of the box is blocked. Corner, Rennes. Conceded by Mykyta Burda. Corner, Rennes. Conceded by Vitaliy Mykolenko. Corner, Dynamo Kyiv. Conceded by Tomas Koubek. Attempt saved. Mykola Shaparenko (Dynamo Kyiv) left footed shot from outside the box is saved in the bottom right corner. Goal! Dynamo Kyiv 1, Rennes 0. Benjamin Verbic (Dynamo Kyiv) header from the left side of the six yard box to the bottom right corner. Assisted by Viktor Tsygankov with a cross following a corner. Corner, Dynamo Kyiv. Conceded by Hamari Traoré. Benjamin Verbic (Dynamo Kyiv) wins a free kick in the attacking half. Foul by Gerzino Nyamsi (Rennes). Attempt missed. Denis Poha (Rennes) right footed shot from outside the box is high and wide to the left. Assisted by Benjamin Bourigeaud. Benjamin Bourigeaud (Rennes) wins a free kick on the left wing. Attempt missed. Ismaila Sarr (Rennes) right footed shot from the right side of the box is high and wide to the left. Assisted by Mehdi Zeffane.